The Royal Norwegian Order of St. Olav is a Norwegian order of chivalry that was instituted by King Oscar I of Norway and Sweden on August 21, 1847, awarded to individuals as a reward for remarkable accomplishments on behalf of the country and humanity. The order is named after King Olav II (993 – 1030 AD), known to posterity as St. Olav. Nobility was abolished in Norway in 1821. Just before the union with Sweden was dissolved in 1905, the Order of the Norwegian Lion was instituted in 1904 by King Oscar II, but it was not awarded by his successor Haakon VII. The Order of St. Olav thus became the kingdom’s only order of chivalry for the next 80 years. The Grand Master of the order is the reigning monarch of Norway. 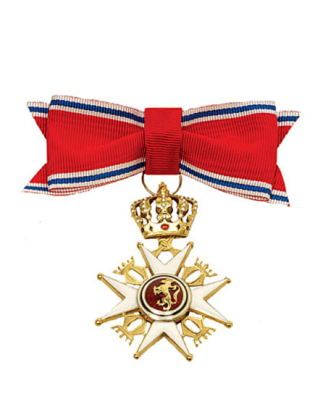 Since 1985, the order has only been conferred upon Norwegian citizens, though foreign heads of state and royals are awarded the order as a matter of courtesy. The King awards the order upon the recommendation of a six-member commission, consisting of a chancellor, vice chancellor, the Lord Chamberlain (acting as treasurer), and three other representatives. The Lord Chamberlain nominates the members of the commission, and the monarch approves them. Nominations for the award are directed at the commission through the county governor. 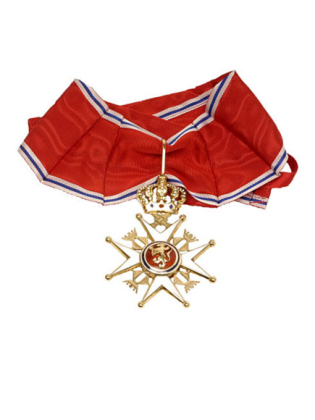 Grand Cross of St. Olav – awarded to heads of state as a courtesy and in rare cases to individuals for merit; wears the badge on a collar (chain), plus the star on the left chest. If the collar is not worn the badge may be worn on a sash on the right shoulder. Commander with Star – wears the badge on a necklet, plus the star on the left chest. Commander– wears the badge on a necklet. Knight, First Class – wears the badge on a ribbon on the left chest. Knight– wears the badge on a ribbon on the left chest. The insignia are expected to be returned either upon the receiver’s advancement to a higher level of the order or upon his or her death. Since it was instituted, the order has been awarded approximately 19,500 times. The insignia are produced in Norway by craftsmen. 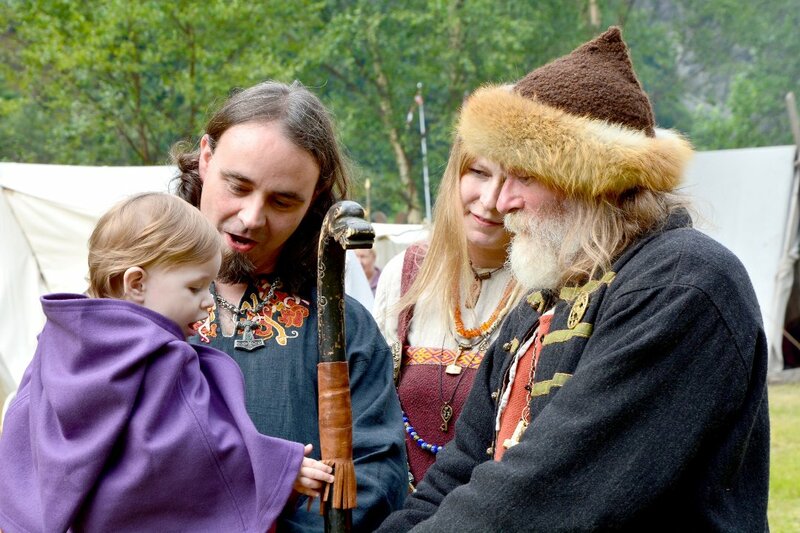 The Norwegian king also awards the St. Olav’s Medal in gold and silver for “activities for the benefit of society,” but these do not confer upon the recipient membership in an order. ‹ Leonardo DiCaprio as King Harald “Hard Ruler”? My husband’s Grandfather, Thorarinn Bjornsson, who was an Icelandic Coast Guard Captain received the St. Olav Order for saving over 100 people from drowning off a sinking ship that was Norwegian. It was signed on June 2, 1961 by a Sigrid Stray that I can best read and a Georg Bull. Part of it reads: St. Olas segl. I was wondering if you would have any information or articles about the incident? Thank you. That would be very much appreciated!